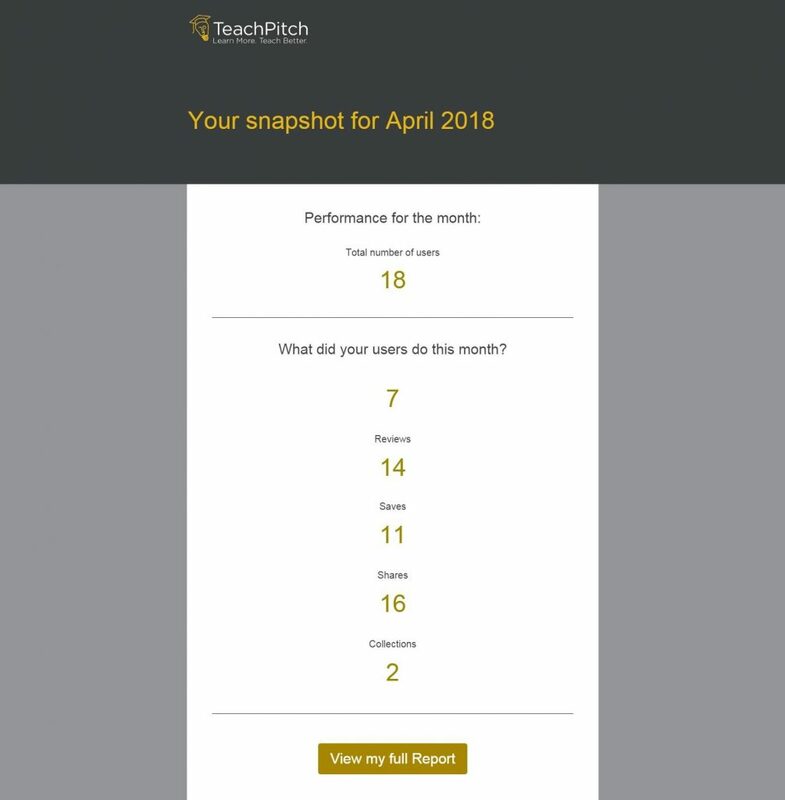 We are proud to announce a brand new feature in our TeachPitch for Schools software, the School Performance Report. We are really excited about this and we can’t wait to work with schools to help them use the report as effectively as possible. With modern Edtech it is no longer good enough to provide a service that we think our users want and just leave them to it. With tight budgets and competing products, schools need to know exactly how products are being used and how they can become more effective. This is why we have designed our report, in collaboration with our schools, to provide this feedback and help ensure they are getting the best possible service from TeachPitch. 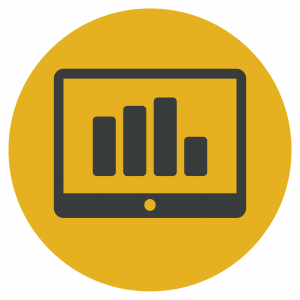 The report gives our schools real time, valuable insight into the way users are interacting with our product. This can be used to both understand how teachers are currently using TeachPitch but also to demonstrate areas where additional information and training can be given. We think this ensures that our product is utilised to its maximum potential, and provides the schools we work with the maximum value for their money. Total number of users – the total number of different accounts who have used TeachPitch in that month. Sessions – the number of separate times users have visited TeachPitch (so the same user logging onto TeachPitch on two separate days would count as two sessions). Rates – the number of times users have rated a resource on TeachPitch. Reviews – the number of reviews left on resources by TeachPitch users. Saves – the number of resources saved by Teachpitch users. Shares – the number of times a resource has been shared on TeachPitch between users. Collections – the number of Collections created by TeachPitch users. There is a link in the report to more in depth data within your actual platform that can give you real insight into how your individual users are using TeachPitch. This helps schools understand where things are going well and where teachers might need a little bit more support. They can also change the date range in this more detailed report to help understand how things have developed over different lengths of time. We work with our contacts at schools to agree a timetable for them to receive the report, either weekly, fortnightly or monthly, so that it best suits their needs. We hope you like the sound of our latest development. If you have any further questions or ideas about the report, or want to find out more about our TeachPitch for Schools product then please email us at info@teachpitch.com. We’d love to hear from you!